It’s serene down on the River Kwai today. Even with the large amount of tourists, the air is still and things are quiet. The bridge over the river looks old but in good shape. It’s like a used movie set which has been left behind after production and recycled by the local residents. Of course, the bridge is, in some ways, a star of the movies. 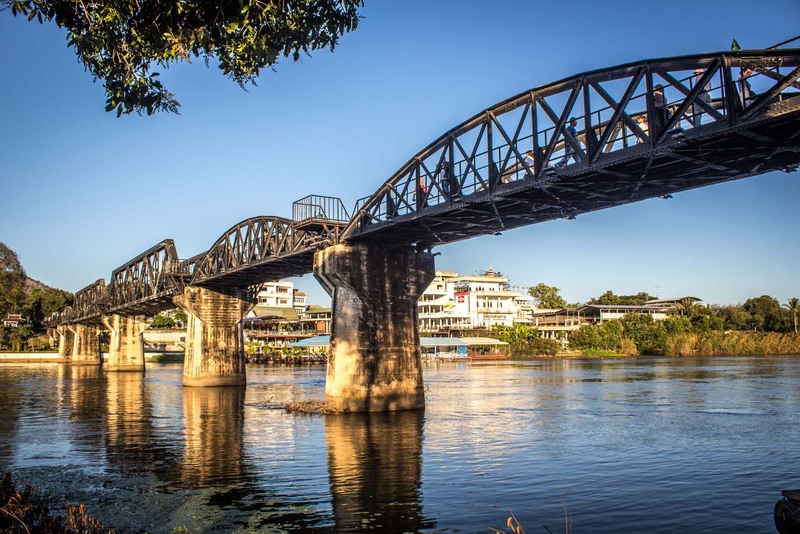 The 1957 film ‘The Bridge on the River Kwai’ made it famous… even though it was shot at a different bridge at a small town in Sri Lanka. 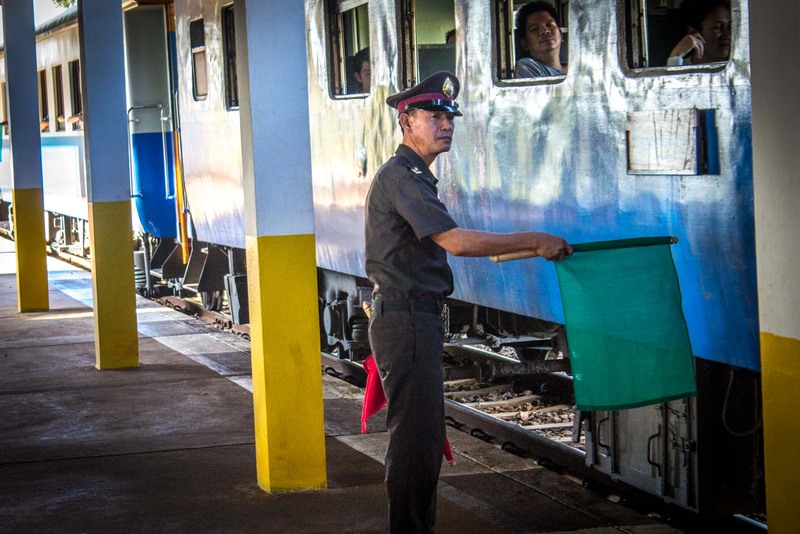 But it has become the icon for the ill-fated Thailand-Burma Railway and the horrors associated with that scene of World War II. The film – and the book it was based on it – are fictional but use facts for the historical setting. Although conditions were much worse in reality than in the story. 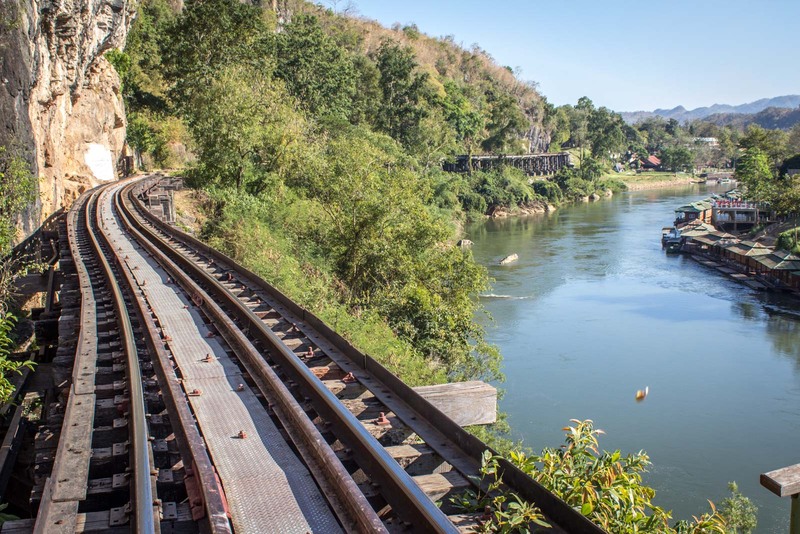 The Death Railway (as it became known) was designed to run from Bangkok to what is now Yangon, in Burma. The Japanese decided they needed it to transport supplies to its imperial troops who were fighting in Burma. But building it was never going to be easy – partly because of the rough terrain it would need to pass through, and also because of the tight schedule that had been set. Construction began in June 1942 and was completed by October 1943. By then, more than 100,000 people had died while working on it. 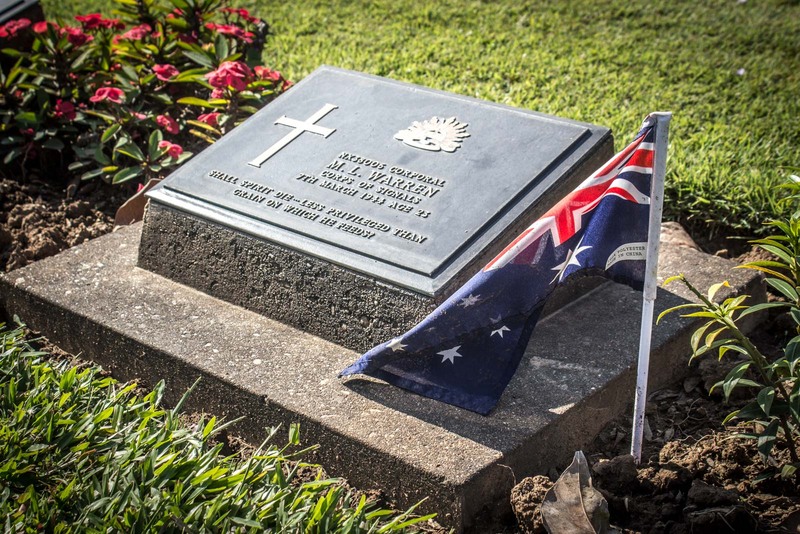 Although allied prisoners of war were brought in for the project, most of the deaths (almost 90 per cent) were actually poor Asian workers who were just trying to make some money. Quite often they even turned up with their wives and children, not realising how inhumane and awful the conditions would be. Walking along a stretch of the railway near the bridge, it’s hard to understand how so many people lost their lives. It’s a sunny summer day in Thailand and the track looks fairly straightforward. But for these workers and prisoners, they faced cruel and incessant treatment from the Japanese guards, and they had very little food so were badly malnourished. 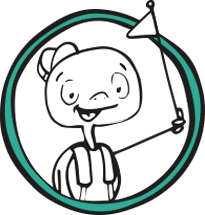 Also, when the monsoon season swept in, it brought with it all sorts of revolting tropical diseases that infected almost everyone. “WOOOOOT,” the train’s horn startles me. It’s coming down the track and I have to squeeze into a small space to the side to allow it to go by. 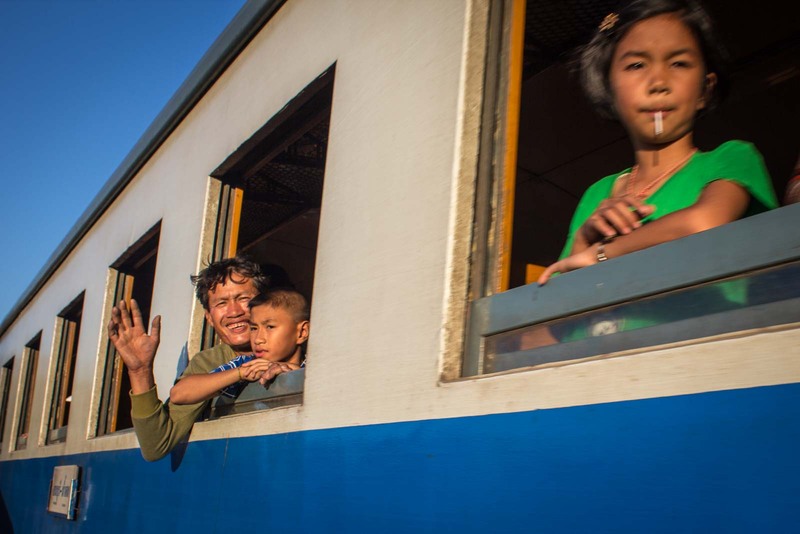 A Thai man leans out the window and waves. He knows why I’m there taking photos. As I am to find out a bit later on when I take a ride myself, there are plenty of foreign tourists who get on for a few stops to experience the Death Railway for themselves. 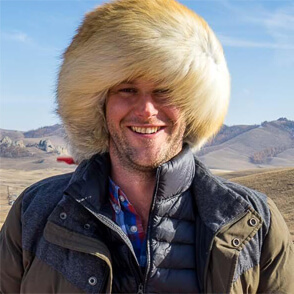 It’s a bit ridiculous, though. Sitting in a carriage for 30 minutes and watching the lush green scenery go by has very little correlation to the real stories of this track. The only POWs who were ever on a train were those who had clung on to life long enough to be transported out and back to prison camps. But it does give you an opportunity to appreciate the length of the railway that those men had to build and some of the difficult areas it passed through. The platforms built along the side of the cliffs, for instance. And of course, although there is now no track passing through, there’s the rock cutting at Hellfire Pass which has been turned into a war memorial and museum. I had decided to visit the various sites associated with the railway in Thailand because of my plans to head into Myanmar (Burma) next week. It seemed an important step in making sense of the bridge between the two countries. The history goes back thousands of years but this seemed like a key point in the modern Western narrative. It was the moment Burma fell from British rule to Japanese, and Thailand switched allegiances and abandoned the allies. Both countries would then take very different paths after the war but there was no escaping the scene that had been set in this part of the world of conflict for decades to come. It’s one of the things I’m looking forward to learning more about during my month in Myanmar. 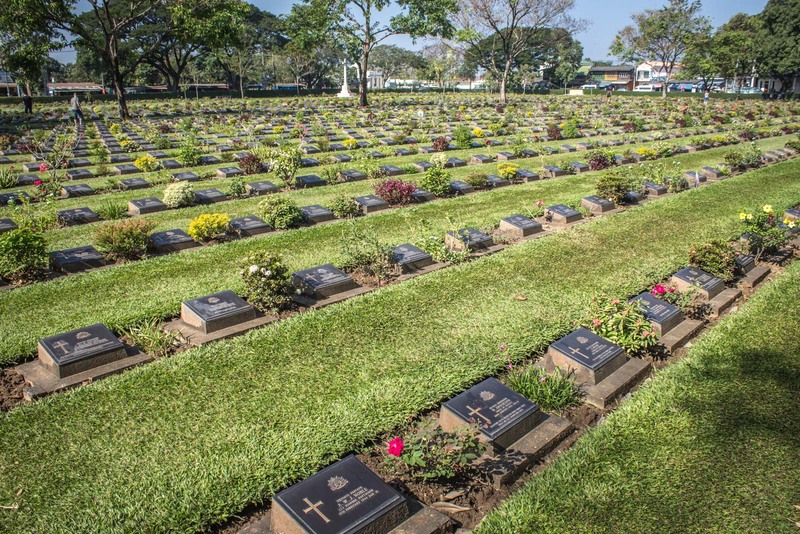 But for now, I finish my time in the area with a visit to the War Cemetery in Kanchanaburi. It’s a solemn moment for me but I don’t stay too long. I feel like these men deserve to be left to rest. 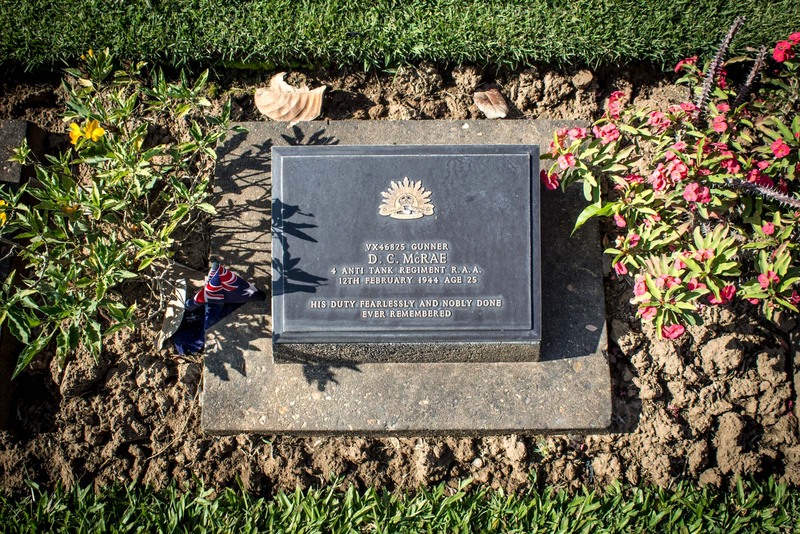 6,982 POWs are buried here – mainly Australian, British, and Dutch. They saw such horrors during their ordeal in Thailand but now they are together and at peace. Great post. I visited a year ago and you can’t help but be moved thinking of the horrors those POWs had to face when building the railway. The stunning scenery is a stark contrast to that, but a ride on the railway should always be accompanied by a trip to the cemetery and nearby war museum. Yes, you’ve said it perfectly. I think it’s really important to see the cemetery or the war museum or the displays at Hellfire Pass. You need to understand the stories of the POWs who worked there, to really appreciate the place. Please also remember the deaths caused to the locals who did not ask nor have a say in the colonisation, abuse and extortion. That may help deepen the appreciation of the place you are visiting from a POW perspective (place). I did not know that bridge at the river Kwai, supposedly Thai, was recreated in Srilanka for the movie. I guess then that bridge in Srilanka should be attracting more visitors, if it exists today. I have no idea if it’s even still there. It would be worth finding out a bit more about it because it would make an interesting visit! I visited here last year and it was especially poignant as my grandad was a prisoner of war here and worked on the railway in horrific conditions – he survived many years of torture and I decided to make the trip to try and understand more about it. Wow, that would have been particularly emotional. I imagine it would have been really hard to hear the stories of the way the people were treated, knowing that your grandfather was one of them. But I hope there was something cathartic about seeing it for yourself. I really admire your decision to go there, especially as it can’t have been an easy thing to do. I visited the Death Railway and War Cemetery a few years ago, it’s very hard not to feel emotional when you enter the War Cemetery, I have to admit it brought a tear to my eyes. I don’t think you need to be directly connected with the story to feel the emotion. It’s incredibly sad to hear about everything that happened. It’s not surprising to hear you shed a tear. 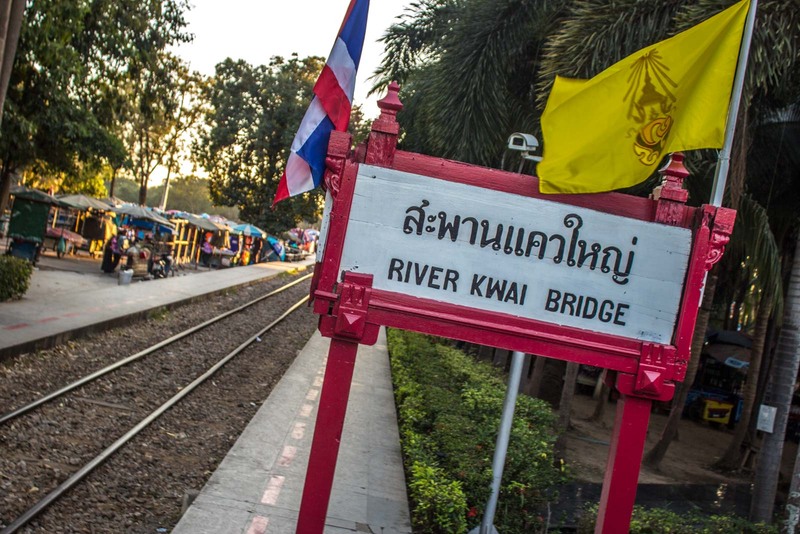 I initially planned to go to Kanchanaburi on our first visit to Thailand but when I decided not to pursue riding elephants, I changed our plans too… still wanna experience riding the train on the Death Railway though..still looking forward to it. 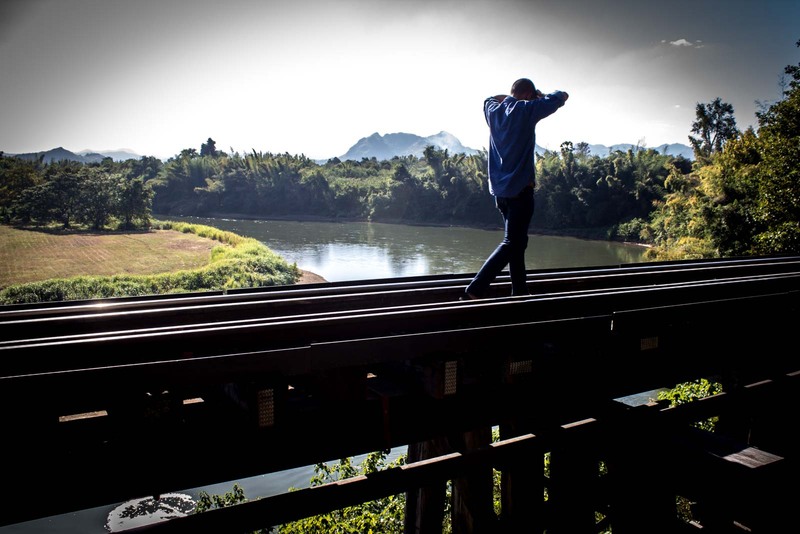 We saw parts of the death railway when we were last in Bangkok, some of the sections of the railway along the river is incredible, I cant imagine how it could build it so close to the river (back then). I also found it quite astonishing how many people died! We’re planning to go in January after reading The Railway Man. We plan to drive but maybe it’s better to go by rail? 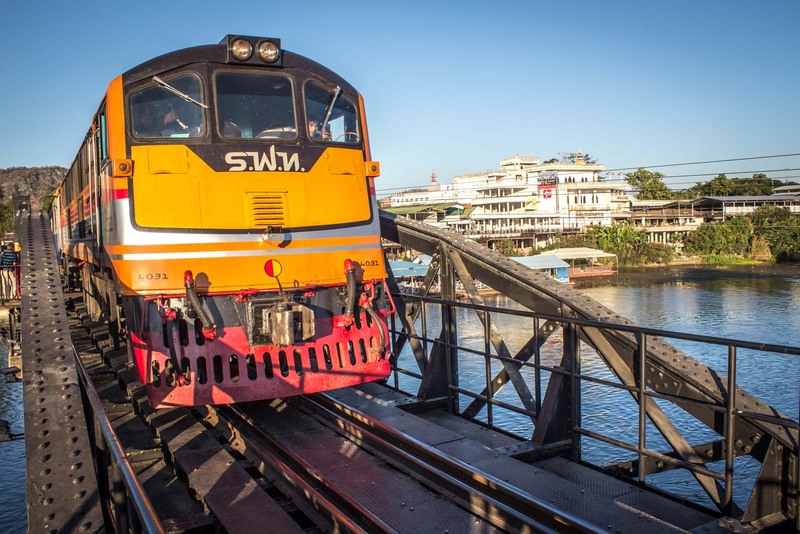 You can easily get the train from Bangkok to Kanchanaburi and it’s pretty cheap (I don’t know exactly how much – but just a few dollars). Or there are ways to just take the train for a short stretch of an hour or so if you’re already in the town. 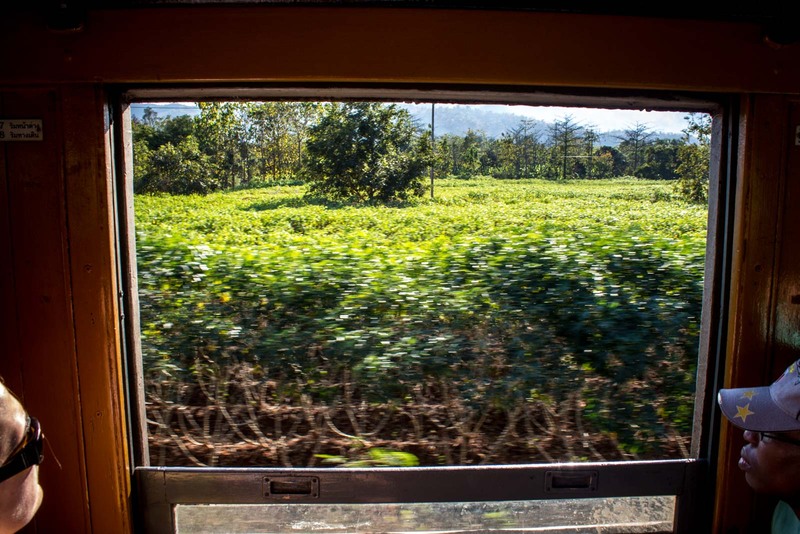 I got the bus from Bangkok to Kanchanaburi and did the short stretch of the train trip as part of a day-long tour I booked in town. In hindsight, though, I would go by rail the whole way.